Attorneys can benefit from counseling on career direction, executive coaching, and outplacement counseling. 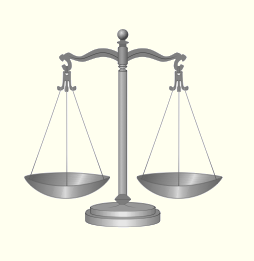 Legal career direction is assistance to navigate your career in the law. It includes support and advice about tough decisions as well as assessment, analysis, and goal setting. Figure out the right career direction in or out of the law, including assessment, analysis, goal setting, and assistance to achieve the desired goal through coaching and continued counseling as needed. Learn about alternative work-time options and whether to utilize these options for a more satisfying career. Understand why they are experiencing a sense of dissatisfaction with their careers and help them to figure out a productive solution to overcome that dissatisfaction or malaise. Executive coaching is assistance to do a better job at the current workplace. Work better with other co-workers. Understand how to start strong and excel as a new associate in a law firm. Manage a difficult boss or co-workers. These represent some but not all of the presenting problems I have seen in my executive coaching work. Manage their negative reactions to this event (humiliation, sadness, depression, anger etc.). Identify where in the market his or her skillset would be welcomed. Put together an effective job search blueprint. Conduct the search by acting as a coach and support. Craft the best resume for the type of search and type of job sought. Continue as a support and guide if the search is longer than usual due to the recession. My rate depends on ability to pay. I use a sliding fee scale which we can discuss. The rate depends on the individual‘s particular situation and the presenting problem. Some people meet with me for only one or two sessions; others for more than ten.